Thanks to Bobby and Matt and Muzthetruthspkr and spencemo for these HERO MINI PONIES (1, 2, 3, 4). 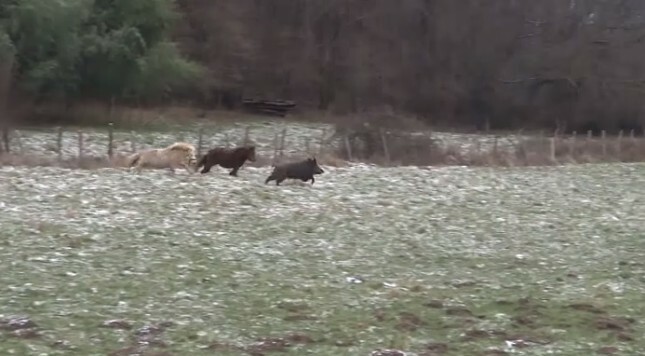 Just as this boar was charging a French couple on the side of the road, these ponies magically appeared to scare him away. All I know is when the poo hits the fan near me, be it a wild boar or your typical mugger or something, I hope two or three magical mini ponies appear to chase off whatever is out to hurt me. Way better than a gun or a panic room.